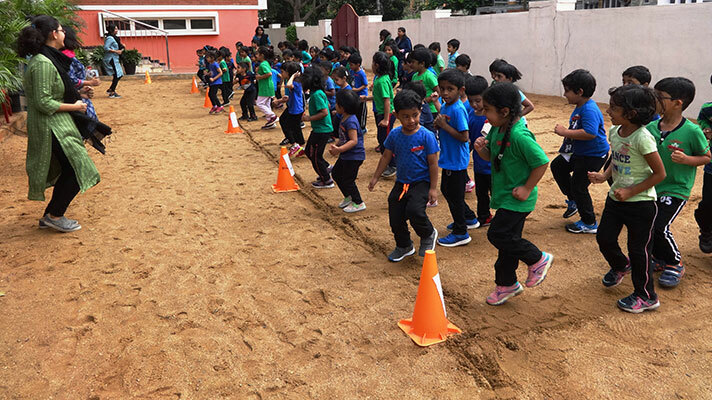 On 29th August 2018, the Montessori children celebrated our National Sports Day. Feet-tapping music welcomed the enthusiastic children on their way in. ‘Khel Khel Mein’ is an attempt to introduce the now-forgotten traditional games and help the children reap the benefits of the games played in the good old days. 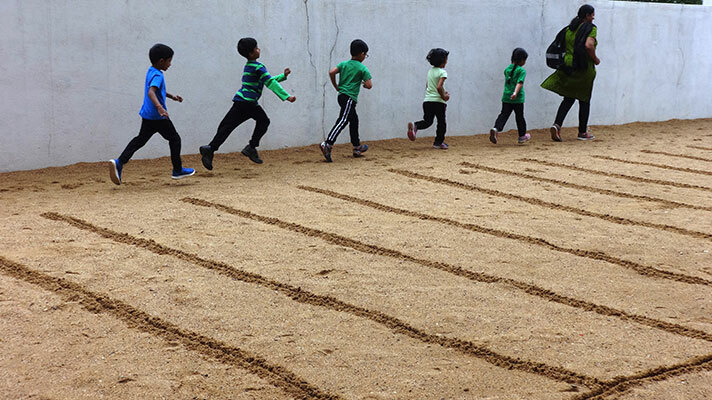 The children have been introduced to few of these games from July 2018 and it is a pleasure to see them enjoying these simple yet challenging games. 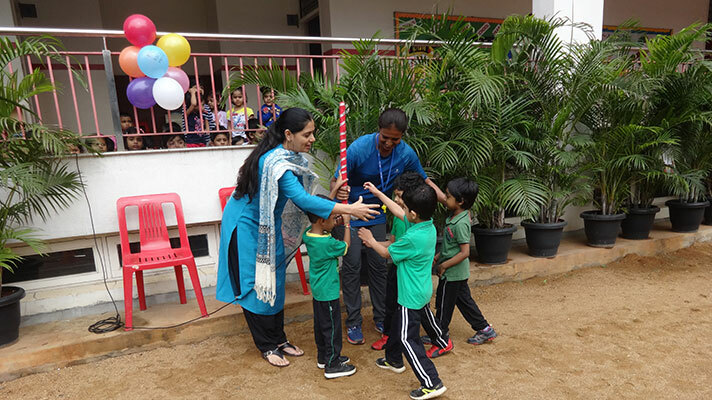 The Montessori team officially flagged off this year’s initiative ‘Khel Khel Mein’ with an in-house ceremony presided by Ms.Veena, the Sports teacher. The guest of honour addressed the children and spoke to them on the importance of playing sports and keeping fit. She also told them that the day is celebrated as National Sports Day in memory of Major Dhyan Chand, the famous hockey player, who won Olympic gold medals for the country. 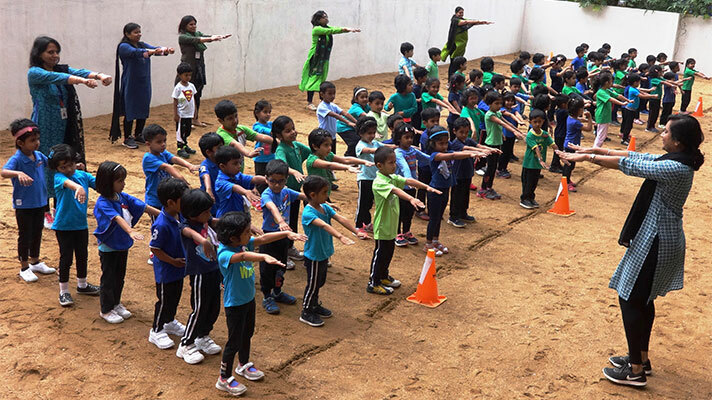 The event began with a baton run by few of the children following which all the Seniors and Juniors put up an energetic display of exercises. The Beginners were a happy audience to the event. The event ended with a vote of thanks and a pledge where the children vowed to play sports regularly to keep fit.